The designer got into his origins, process, and hectic schedule. 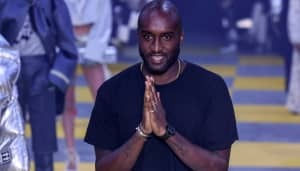 Virgil Abloh and his brand OFF-WHITE are the subject of a new short documentary by The New York Times. The four-and-a half minute film is shot at the OFF-WHITE offices in Milan, Italy, and begins with Abloh calling OFF-WHITE "my resume and mood board for an actual idea I have for the modern luxury brand. It's almost like a labratory." He goes on to explain his approach to streetwear, travelling "320 days a year," and the brand's evolving nature in an ever-shifting fashion landscape. "I feel like Off-White might be one of the truly first luxury brands that's been built from social media," he says. There's also footage of a designing session using images of Princess Diana as inspiration. Watch above.